I remember the first time my son was given a chip by a member of the family. I almost cried. You know how it is when you’re a first time parent. You want what you think is best for your child. The establishment was McDonald’s. Over the years my relationship with McDonald’s has changed. They continually update their menu to offer their customers more choice. 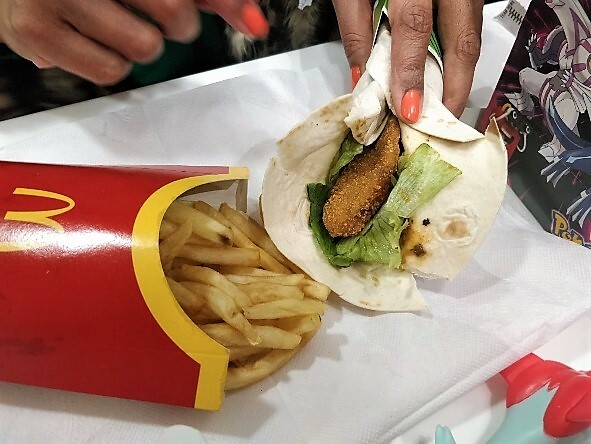 So, these days, McDonald’s has become a treat and mealtime saviour… like that time in Pembrokeshire, Wales… New for 2019, for the first time ever there’s a Vegetarian Happy Meal and a Spicy Veggie Wrap. Well, meal time just got spicy. We are living our best lunch life with McDonald’s Veggie Wrap. McDonald’s Veggie Wrap gives more choice for families. It’s a tasty alternative for both children and adults which is perfect for the month of Veganuary and beyond. 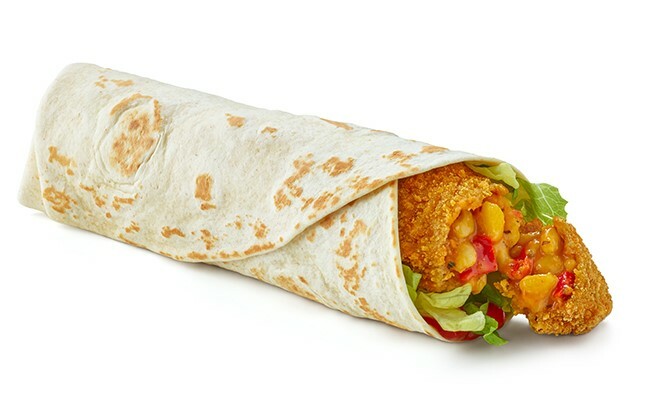 The wrap is made with a Red Pesto veggie goujon, shredded lettuce and tomato ketchup in a small toasted tortilla wrap. Real families took part in the taste test as part of this process. It’s gotta be good, right? Off we went to our local McDonald’s to try the Veggie Wrap. Confession, I am a meat-lover but my tummy was ready for a change. From the description, the spicy wrap intrigued me. I luv a bit of spice! And my son, who can be fussy at meal times, usually chooses a non-meat option. The wrap was ideal for us to try. For our meals, my son had the Legendary Pokémon Veggie Happy Meal® Wrap (209kcal.) 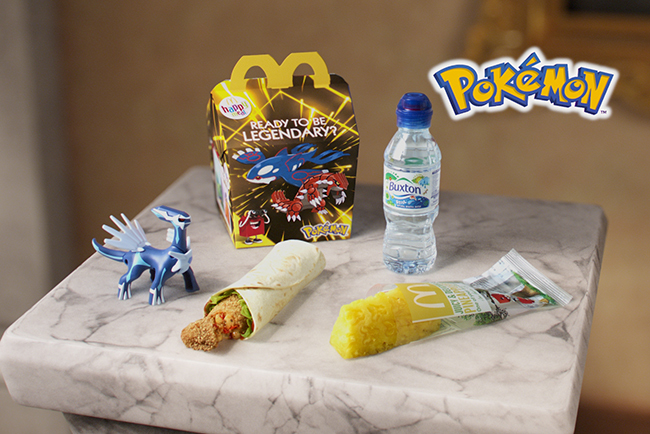 It comprised of: Veggie Wrap, side (carrot bag), bottle of water AND of course the surprise toy (Legendary Pokémon toy Ratiasu) – RRP£2.59. While I had the Spicy Veggie Wrap meal (364kcal. ): Veggie Wrap with fries and coke (RRP4.89). My daughter and hubby had their usual, along with a portion of nuggets. Usually, we all pick from it. I enjoyed my wrap so much I wasn’t tempted by the nuggets. Lunch was truly enjoyable. My son liked the flavour of his wrap. He would have it again. My Spicy Veggie Wrap had the perfect balance of crunch to softness and spice to tang. I would certainly have it again. Side note, if your child starts asking you deep questions in McDonald’s, it just might be the Happy Meal box. My son caught me out! He asked me ‘Would you rather have a day for fun, or a room full of toys?’ I thought about the question and responded “room full of toys”. Then, he asked, “would you rather have more space to play in, or more time to play?” to which I responded, “space to play.” Eventually, the penny dropped, he was reading off the Happy Meal Box! 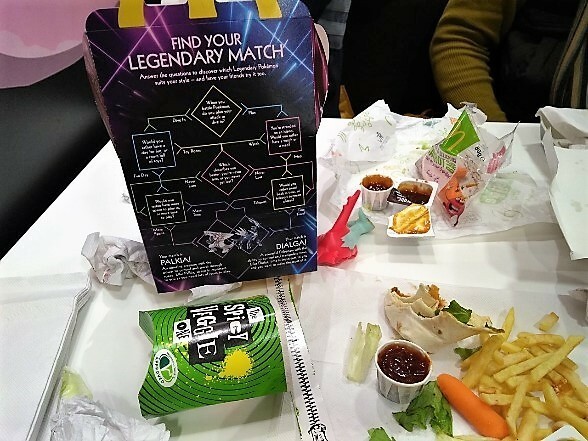 It was the ‘Find your legendary match’ quiz, on the side of the box! He really got me, there. FYI: The wraps were approved by the Vegetarian Society and what a welcome addition to the menu. The Veggie Wrap provides more choice for families. It just might be a hit with your fussy eater. Have you or your child(ren) tried the Veggie Wrap? What did you think? Leave a comment in the box below, I would love to hear from you. 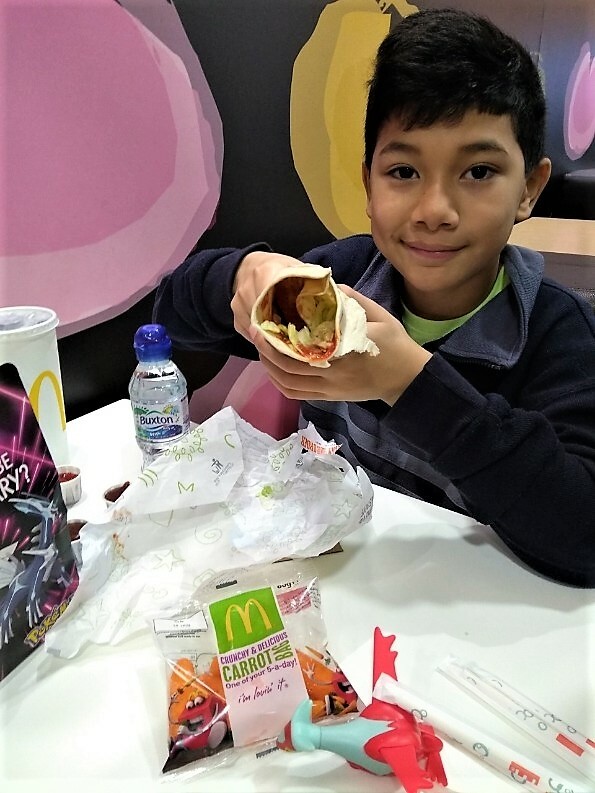 This post is part of a paid project with McDonald’s UK and BritMums, promoting McDonald’s Veggie Happy Meal and the new vegetarian menu items. Finally the vegetarians have been taken into consideration for too long our buying power has been overlooked. Hope it makes it’s way to the Caribbean soon. Congratulations to Mc Donalds for thinking outside of the box! Lyndon, I totally can relate LOL. I’m pleased to have a healthier option too. 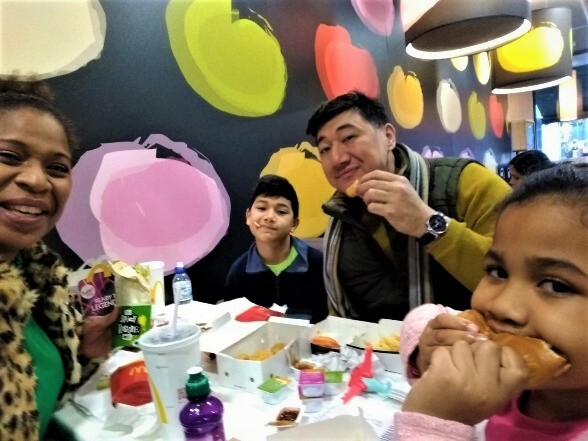 Well it’s about time establishments like Mc Donalds offer more choices for families, gone are the days when everyone ate the same, the modern diet is so very varied now, its great they have added this permanent addition to their menu. I couldn’t have put it better, Rekella. So, so true. If you have try it let me know what you think. Hey Rebecca, thanks for stopping by. Yes yes, we are so happy about the new meal options. I’m so pleased they’ve expanded their menu! Love this we have had both wraps and have to say very nice. It’s brilliant news that McDonalds have added a veggie option. We went to try it and loved it! My fussy eater loved it too. I am glad you enjoyed it. Great that McDonald’s has worked to provide a vegetarian happy meal option! I totally agree and that they made it a permanent part of the menu. Lovely family photo at the end! We really enjoyed the wraps too… so happy there is a new veggie option! It’s such a great addition to the Happy Meal menu. I’d be tempted to buy one for me next time I go let alone my son! Aww you must. Its so yum. This is a fantastic discovery for me as I start off 2019 more committed to a healthier lifestyle. This wrap gives me a guilt- free option when I want a spot of fast food indulgence. Thanks for your rich descriptions! I’m sold and will be trailing it soon. Hey Lanesie, thanks for stopping by. Let me know your thoughts after you’ve tried it.